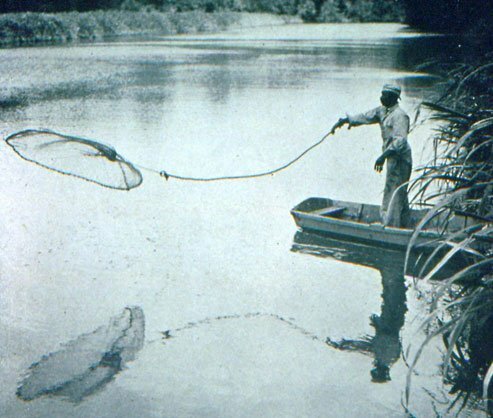 Fishing has been and continues to be an important aspect of Gullah culture, not only as a means to make a living and feed the family, but also as a community touchstone. Many times family reunions, fundraisers and community celebrations are pot luck fish fries or oyster roasts. In the late seventieth until the mid-eighteenth century, thousands of enslaved Africans survived the middle passage to reach south Atlantic shores. Mostly due to the relative isolation of the Sea Islands at this time, including Hilton Head Island and Daufuskie, these Western Africans were able to converse in their own languages and dialects, and to preserve much of their original African traditions. 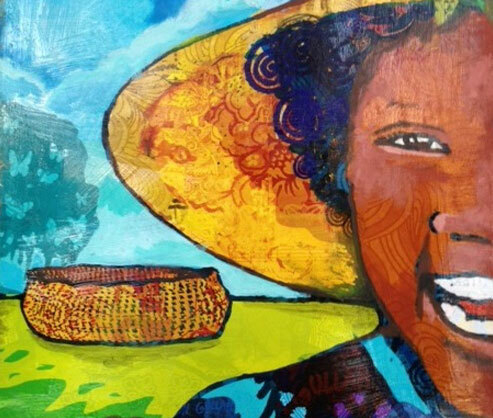 Through an intersection of political, social, and historical circumstances the Gullah people created their culturally fertile way of life within their language, foods, music, skills, and art. Though born of heartache and saved through perseverance, the Gullah culture has not only survived, but still flourishes today. Chefs tantalize the taste buds with time-honored recipes, while storytellers spin their tales – weaving entertainment with wisdom. Choirs sing and rejoice in the haunting songs and hymns of yesterday, while modern day musicians still find inspiration in the old rhythms and ancestral beat. Quilt-makers and sweetgrass basketry artisans combine contemporary materials with the expertise honed through the centuries, into works of profound beauty and skill. There are an estimated 300,000 Gullah living along the southeastern coast in a “living, breathing” culture – vibrant and comfortable in its own heritage and determined to continue its legacy.